This beautiful, detailed puzzle is perfect for anyone who likes to test their puzzle skills and expand their mind. 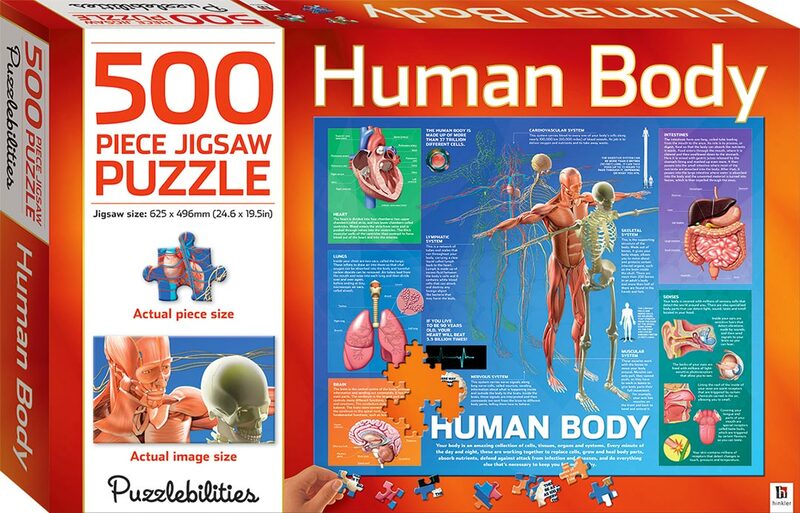 The Puzzlebilities Human Body jigsaw is a fun and educational way for both children and adults to increase their knowledge of the parts and the workings of the human body. First, children can put together the 500-piece jigsaw, then they can study the illustrated images and read all the facts. Complete the puzzle on your own or get together with family and friends for hours of enjoyment!